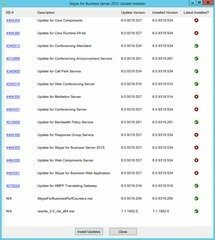 This week saw the release of an update for SfB Server 2015, taking the server up from 6.0.9319.534 to 6.0.9319.537 and updating 8 components on my Standard Edition Front-End. 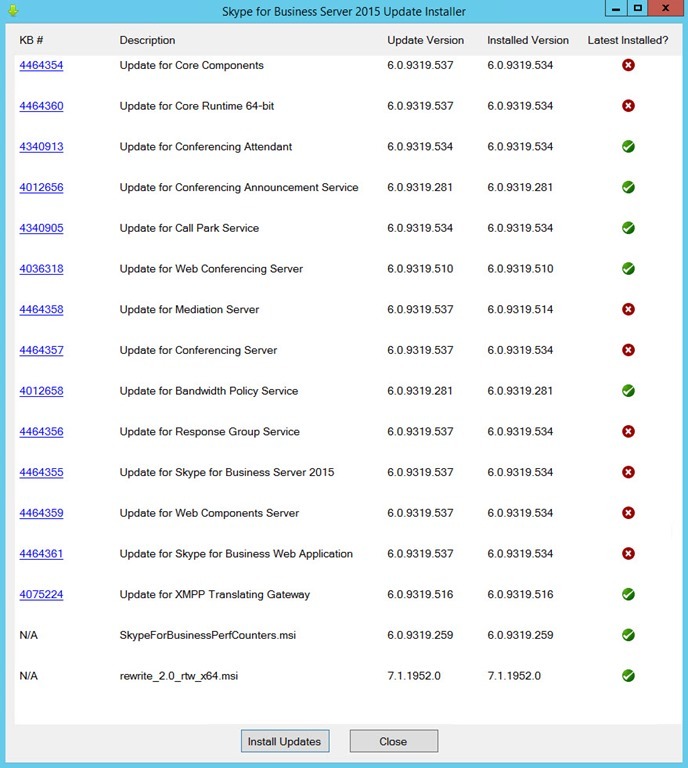 Latest #Skype4B CU 2019-01 has grown from 99MB to 437MB!!! 11th January 2019: This is the initial release. I just installed this on our Enterprise pool. Now we are experiencing random numbers not forwarding calls to UM voicemail. This also seems to be tied to presence. If the user is signed in and away, it will forward to VM. If they are offline, no VM. Have you encountered anything like this in your testing? Nothing springs to mind here. You’ve not added an SfB 2019 pool by any chance? There’s a known issue around the CsExUmContact being moved, although I didn’t think that was an intermittent one. Just noticed this update got some spoofing vulnerability, not sure if my understanding is correct. Do we have any fix for this? I’ll do some digging and update the post accordingly. Hi I have recently updated to CU 9 and after the update we have had errors with join meetings using skype web app there is no trouble when joining using the locally installed skype client also mobile clients(android and Ios) are unable to dial out from the mobile phones, callback works just fine. CU9 isn’t out yet. This post is the official CU8 release, and the ambiguous March update appears to have been a security update, but may also contain undocumented fixes. I recommend you update to that, and make sure you run bootstrapper.exe (or take the Deployment Wizard through to Step 2 “Setup or Remove Skype for Business Server Components”) after.